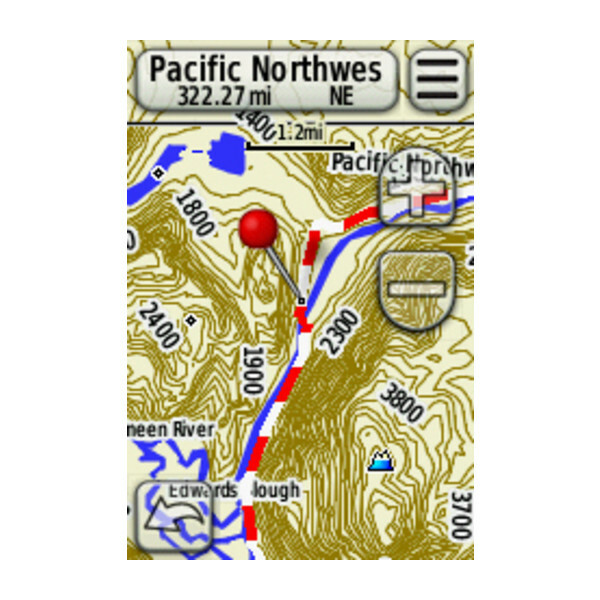 Prepare for your next hiking or camping adventure with highly detailed topographic maps for the Pacific NW National Trail. 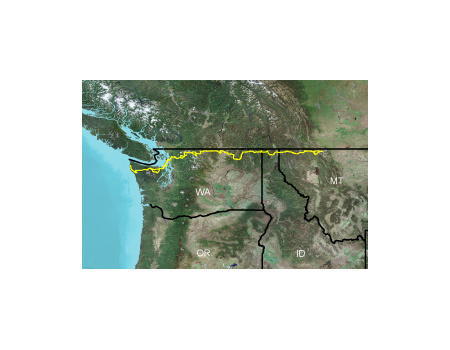 These maps feature terrain contours, elevations, summits, parks, coastlines, rivers, lakes, geographical points and more. 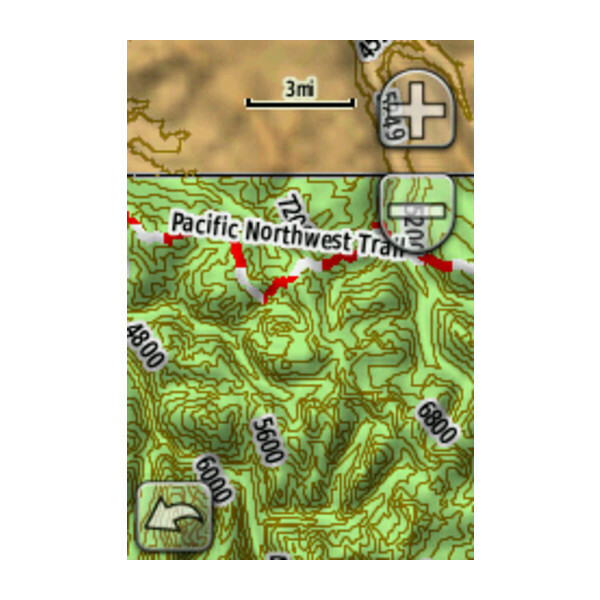 Provides highly detailed digital topographic maps, comparable to 1:24,000 scale USGS maps. 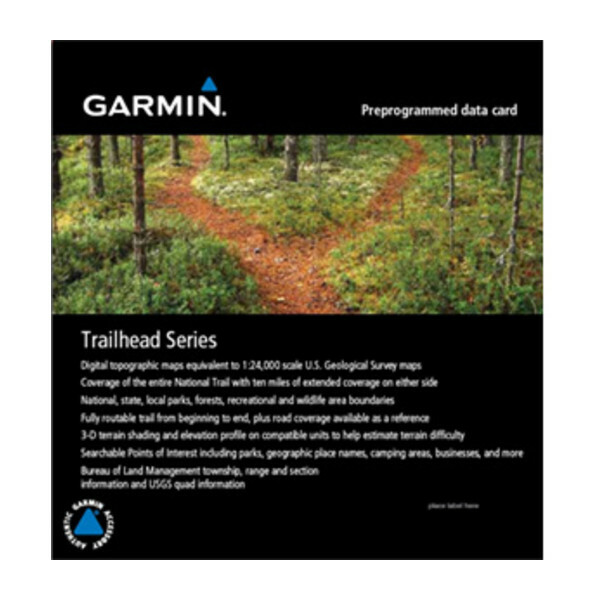 Contains a fully routable trail, plus basic road coverage is available for reference. Displays national, state and local parks, forests, recreational and wildlife areas. Includes searchable points of interests, such as campgrounds, scenic lookouts, picnic sites and businesses. 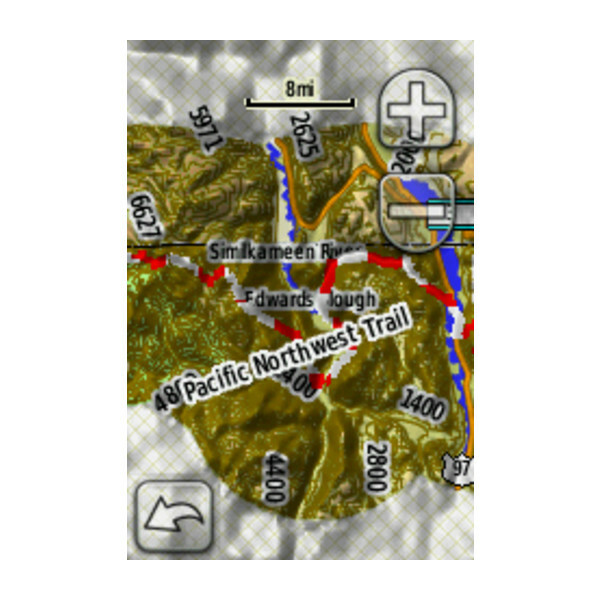 Displays 3-D terrain shading and digital elevation model (DEM) shaded relief on compatible devices so you can estimate terrain difficulty. Features Bureau of Land Management township, range and section information as well as USGS quad locations. The file size of this download and space required on device or microSD™/SD™ card is 144 MB. If this download does not fit on your device, data may be saved on a microSD/SD card (Recycled microSD cards may be used to program map data). 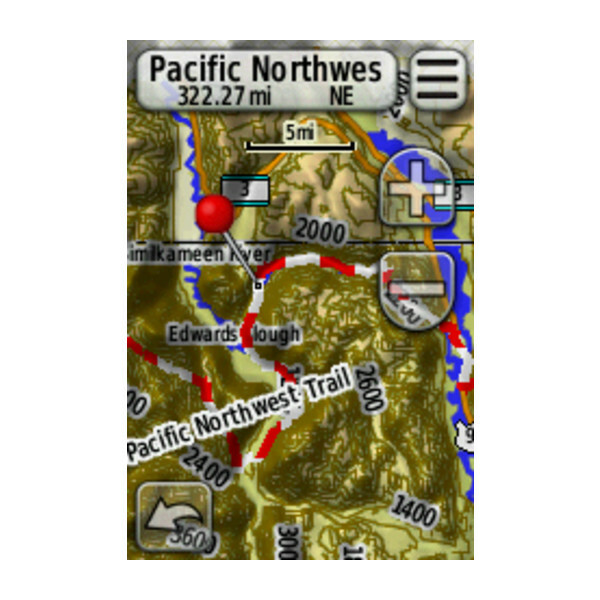 Features detailed coverage of the Pacific NW National Trail plus 10 mi (16 km) of extended coverage on each side of the trail.